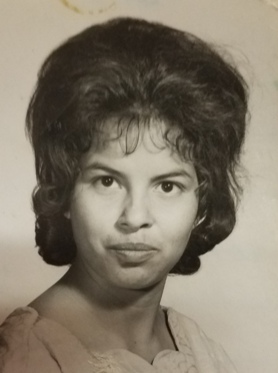 Obituary for Francisca (Pena) Ochoa | Sullivan-Ellis Mortuary, Ltd.
Francisca Ochoa, 70, of East Moline, passed away Tuesday, November 13, 2018 at Genesis Medical Center, Silvis Campus. Funeral services will be 11:00 a.m. Saturday, November 17, 2018 at Sullivan-Ellis Mortuary, Ltd., 1902-3rd Avenue, East Moline. Visitation will be 4:00-7:00 p.m. Friday, November 16, 2018 with a rosary recited at 3:30 p.m. Memorials may be made to the family. Francisca was born May 11, 1948, in Crystal City, Texas, the daughter of Margarito Pena and Concepcion Garza Pena. Francisca was a homemaker. She loved her family. She enjoyed family functions. She enjoyed bingo, cards, and football. 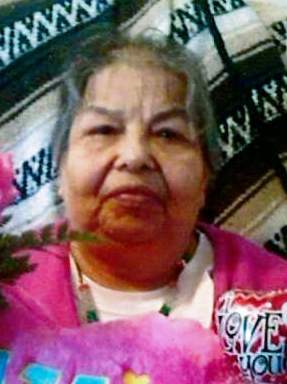 She is survived by her sons; Daniel Ochoa, Jr., East Moline, Richard Ochoa, Muscatine, IA, and Joey Ochoa, Mason City, IA, daughters; Rosalinda(Francisco) Alberto, Mason City, IA, and Irma Sandoval, East Moline, 6 grandchildren, 4 great grandchildren, brothers; Adrian (Mary) Pena, East Moline, Pedro (Tina), Moline, and Ruben (Rosemary) Pena, Milan, sister; Herminia (Ernesto) Montez, East Moline. She was preceded in death by her parents, Margarito and Concepcion Pena, her husband, Daniel Ochoa, 2 sisters, and 1 brother.